The Bourbon Steak Old Fashioned, made with House Spiced Bitters. 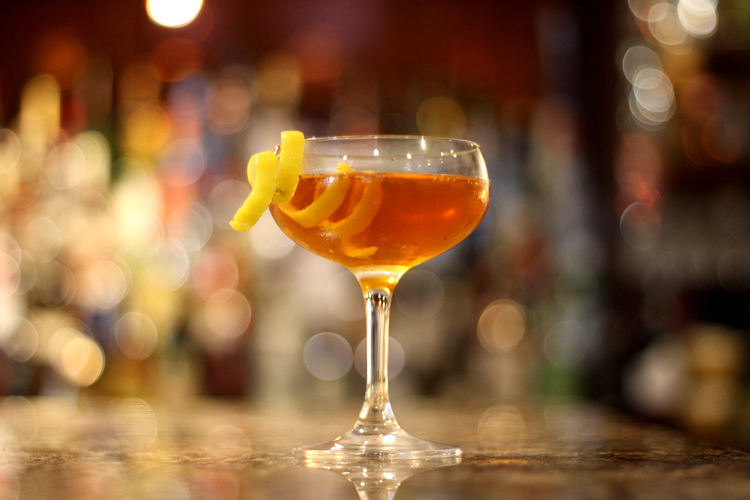 Don’t be daunted; crafting your own bitters truly makes for cocktails you can call your own. Think about a time you’ve cooked a favorite recipe for soup. Sometimes you taste a spoonful and realize, despite the fact that the stock pot is filled with lots of different ingredients, it still needs something to meld it all together. So you add a dash of this and a pinch of that, until you can taste both the individual ingredients and the sum of its parts. That kitchen alchemy is the same way bitters work behind the bar. Used in small doses, bitters have an uncanny ability to add dimension and coax out a drink’s individual aromas and flavors. And while we are lucky to live in this age of the cocktail renaissance, where copious brands of commercially-made bitters are set on store shelves just waiting to be shaken into cocktail tins, it’s also quite a lot of fun (not to mention a learning experience) to make your own. At Tales of the Cocktail this past July, Auchentoshan brand ambassador Robin Nance and Hella Bitters co-proprietor Tobin Ludwig hosted a bitters seminar. Fittingly held at the New Orleans Pharmacy Museum, this interactive session taught guests about the history of bitters (as well as their use both as a drink ingredient and elixir). Attendees started off by sipping the Seelbach Cocktail (a Bourbon-based sparkling wine cocktail with bitters that was created at and named for Louisville, Kentucky’s Seelbach Hotel). 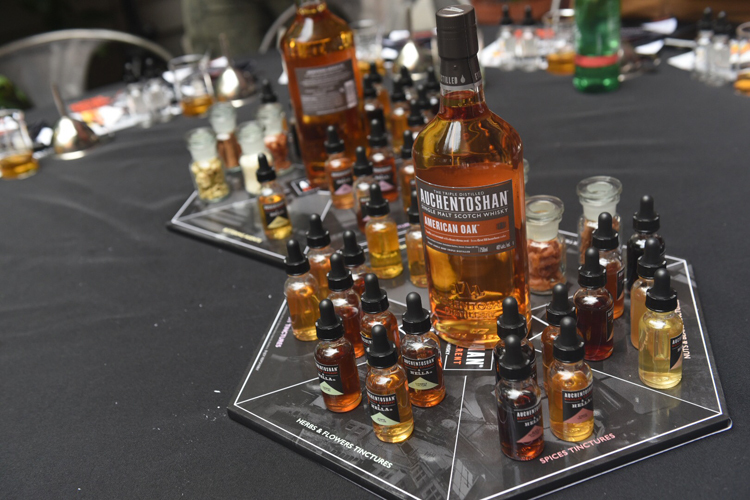 After a little liquid inspiration, they were invited outside to the courtyard, where tables sets up with botanical tinctures let them create their own perfect combination. Torrence Swain, head bartender at Bourbon Steak in Washington, DC, calls his House Spiced Bitters approachable for beginners. Starting with a base of Everclear, they also contain star anise, cassia bark, cinnamon bark and whole cloves, soaked in a jar for two weeks before being strained and bottled. “If you want to change it up, keep your base and add a choice of fresh herbs, roots, barks, fruits or rinds,” he explains. “Just keep in mind you always want to have one bitter element, such as cassia bark, to round out the flavor and add structure.” He says Boyd & Blair Potato Vodka from Pittsburgh is a nice substitute for the Everclear, as it’s high proof at 151 ABV, with a clean profile and finish. Soak all ingredients for two weeks in an airtight container such as a Mason jar. After two weeks, strain through a cheesecloth and store bitters in a dropper bottle. Add 2 or 3 dashes to your cocktails. The bitters work well in an Old Fashioned or Manhattan, or in Swain’s Give ‘Em Hell, Harry. Add the first three ingredients to a cocktail glass, add ice and stir until chilled. 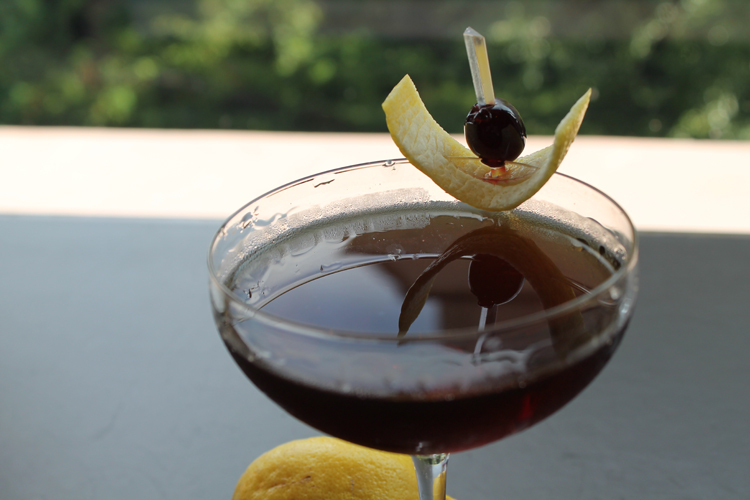 Strain into a chilled coupe glass, or over ice in a rocks glass, and garnish with the lemon twist and cherry. Smoke the apple rinds in a smoker or a grill, then add the apple rinds and lemon rinds into an empty Mason jar or large container. Add all bittering agents, then add spices. Add Bourbon, seal jar, and shake to combine. Set it in a dark place for two weeks, shaking once or twice per day to emulsify ingredients with the Bourbon. Strain the resting bitters through a cheesecloth into another empty Mason jar, squeezing to remove as much liquid as possible. Pour the remaining solids into enough water to make sure the solids are saturated and covered. Bring the mixture to a boil, lower heat and simmer for 10 minutes. Allow mixture to cool, then add it to an empty Mason jar. Let both Mason jars set for a week out of direct sunlight. Add the liquid from the Mason jar filled with solids into the Mason jar filled with Bourbon and liquids, straining with a cheesecloth to remove solids. Discard solids, add demerara syrup to Mason jar, seal and shake. Let it set for three days out of direct sunlight. Build in the glass using a Hot Toddy method, but do not add hot water to the drink itself, stir in small tin on top of hot water. Garnish with a lemon wheel and freshly grated nutmeg. Combine equal parts honey, brown sugar and water. Simmer until sugar is dissolved, remove from heat and add cinnamon sticks and clove, steeping to taste and then removing solids. Kelly Magyarics, DWS, is a wine, spirits and lifestyle writer, and wine educator, in the Washington, D.C. area. She can be reached on her website, www.kellymagyarics.com, or on Twitter and Instagram @kmagyarics.